Product prices and availability are accurate as of 2019-04-20 08:14:14 UTC and are subject to change. Any price and availability information displayed on http://www.amazon.com/ at the time of purchase will apply to the purchase of this product. Since 1932, Broan-NuTone LLC has led the industry with forward-thinking residential ventilation products, unsurpassed built-in convenience products and superior customer service. While global expertise plays a critical role in Broan-NuTone's ability to being able to meet and exceed the needs and desires of homeowners and designers alike, Broan-NuTone is very proud of the fact that over 80 percent of their products sold in the United States are designed, engineered and manufactured in the United States with U.S. and imported parts. Manufacturing operations in the United States are located in Hartford, Wisconsin and Cleburne, Texas, with customer and technical services located in Hartford and in Cincinnati, Ohio. Broan-NuTone is committed to developing revolutionary products that improve the indoor environment as well as implementing procedures to preserve the outdoor environment. Broan-NuTone offers a wide selection of products that help meet the requirements of all three major green building programs: ENERGY STAR, U.S. Green Building Council's (USGBC) Leadership in Energy and Environmental Design (LEED) for Homes, and the National Association of Home Builder's (NAHB) Model Green Home Building Guidelines. Broan-NuTone's inspiring heritage provides the foundation for its three award-winning, global brands - Broan, NuTone and BEST. Broan is the industry leader of range hoods, ventilation fans, heater/fan/light combination units, Indoor Air Quality (IAQ) Fresh Air Systems, built-in heaters, whole-house fans, solar powered attic ventilators and trash compactors. NuTone holds major market positions in door chimes, central vacuum systems, stereo intercom systems, home theater speakers, medicine cabinets, ironing centers, ceiling fans and ventilation fans. 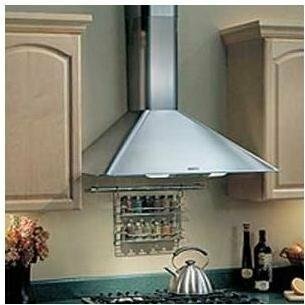 BEST range hoods are the "Ultimate in Kitchen Ventilation" featuring state-of-the-art performance and Italian design.